Turbo Kits, turbocharger, or turbo is a forced induction device used to allow more power to be produced for an engine of a given size. The key difference between a Turbo Kits turbocharger and a conventional supercharger is that the latter is mechanically driven from the engine often from a belt connected to the crankshaft, whereas a turbocharger is driven by the engine’s exhaust gases. A turbocharged engine can be more powerful and efficient than a naturally aspirated engine because the turbine forces more intake air, proportionately more fuel, into the combustion chamber than if atmospheric pressure alone is used. 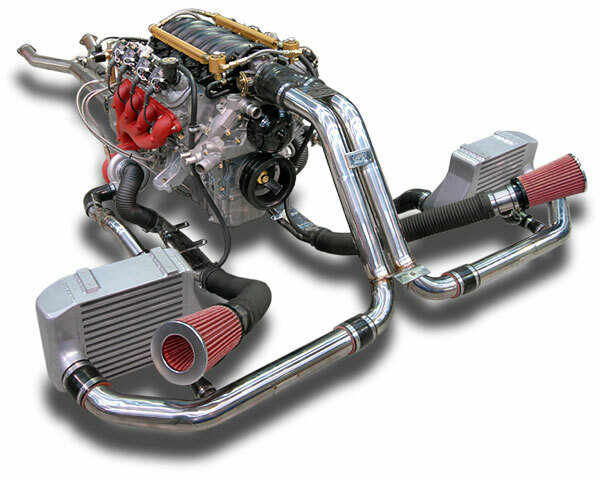 Turbo Kits are commonly used on trucks, cars, SUV’s and construction equipment engines. This entry was posted in Blog and tagged car accessories, chevy, dodge challenger, ford, mustang, performance accessories, performance exhaust systems, Supercharger Kits, suv, truck, Truck Accessories, Turbo Kits, turbocharger.